1.It is a perfect match for Sony RX0 camera and offers great protection for it. 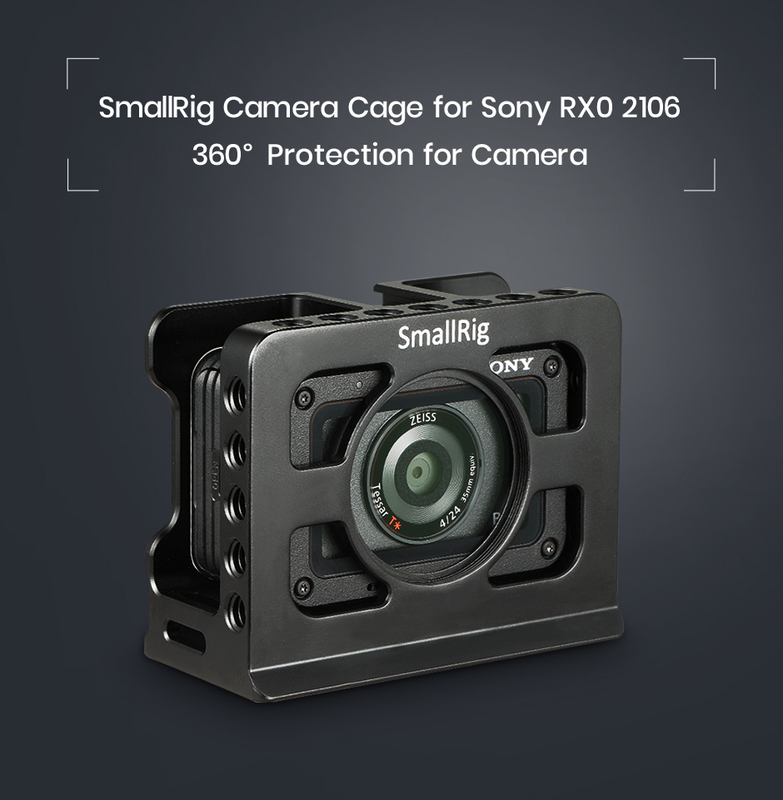 SmallRig Sony RX0 Cage 2106 is exclusively designed for Sony RX0. It is locked via a 1/4 screw on the bottom, perfect match for Sony RX0 and offers great protection for it. 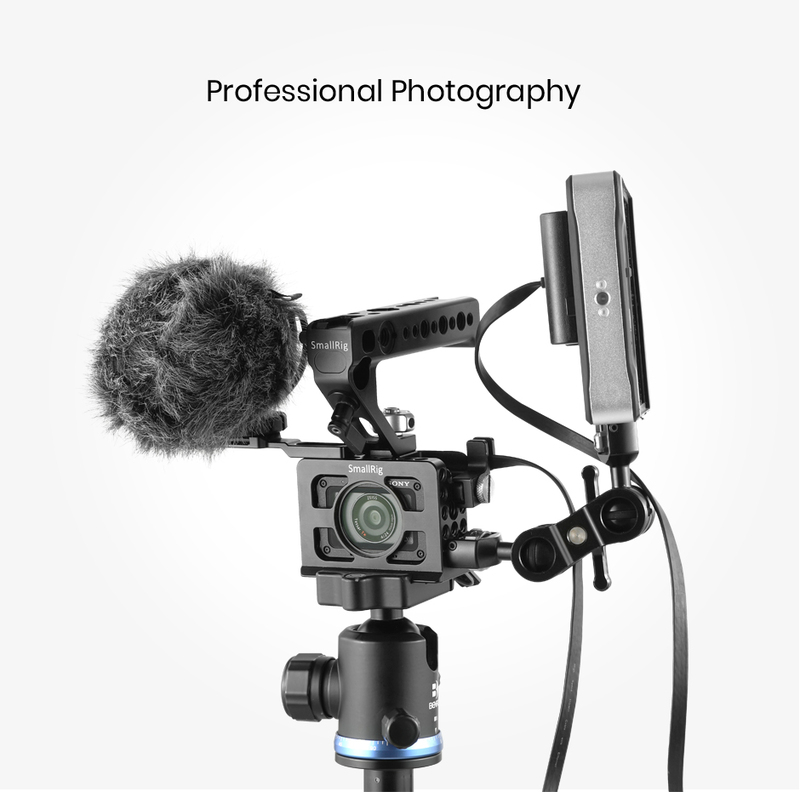 There is cold shoe on the top, you can mount Multi-Functional Ball Head with Removable Shoe Mount 1875 to attach your small monitor and ensures to attach SmallRig Top Handle 2094 for handheld shooting. It could be mounted with HDMI Lock 1693 on the left side to provide protection for HDMI cable and ensure the transmission of signals. On the left side also comes with an Arri locating point for accessories with Arri Locating Pins like Magic Arm 2115. 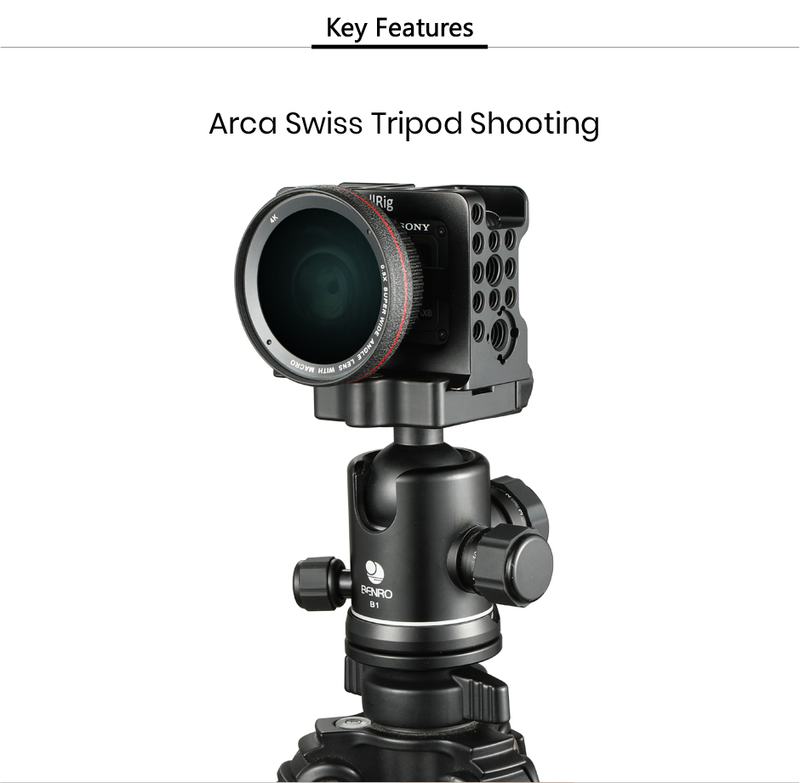 It comes with build-in Arca Swiss for tripod quick release and build-in 37mm thread for mounting filter and lens. 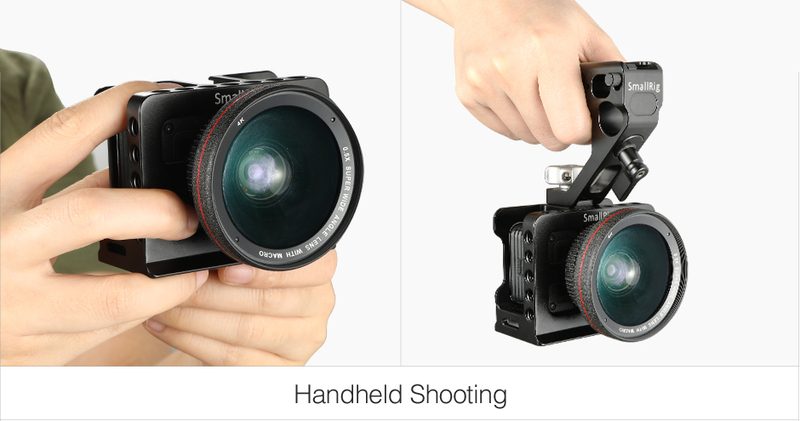 On the right side, a wrist strap hole enables wrist strap attachment for Easy carrying and ensure the safety. It is equipped with an abundance of 1/4”-20 and 3/8”-16 threaded holes for multiple external mountings.